By 1 October 2018, none of the Contracting Parties to the above-mentioned Agreement had communicated an objection to the Secretary-General. Consequently, in accordance with the provisions of article 14 (3) of the Agreement, the proposed amendments to annexes A and B, as amended, shall enter into force for all Contracting Parties on 1 January 2019. 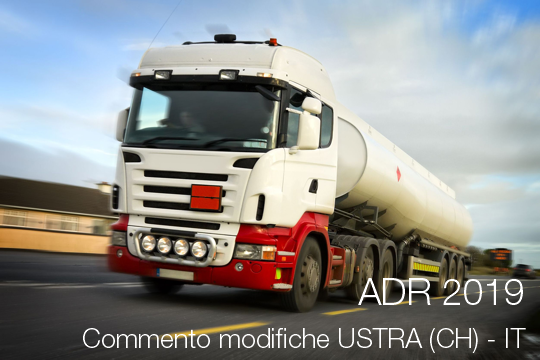 In allegato il nuovo Cap 7.1.7 “Special provisions applicable to the carriage of self-reactive substances of Class 4.1, organic peroxides of Class 5.2 and substances stabilized by temperature control (other than self-reactive substances and organic peroxides)”. Il Cap. 7.1 sulle Condizioni generali per il trasporto, il carico, la movimentazione e la movimentazione che terminava con il Cap. 7.1.6, ora, con l’ADR 2019, viene ampliato e include il nuovo Cap. 7.1.7, che raggruppa le regole generali e le regole speciali per il controllo della temperatura. Ciò porta a modifiche consequenziali nelle disposizioni delle parti 2, 3, 5, 8 e 9. Con l’ADR 2019 l’obbligo di nomina del Consulente ADR è esteso ad ogni impresa le cui attività comprendono anche la “la spedizione” di merci pericolose su strada. Dal draft e dal corrigendum 1 dell’ADR 2019 è stsato aggiunto, in vari punti del Cap. 1.8.3, il termine inglese “consigning” (spedizione) prima del termime “carriage” (trasporto) tra le attività obbligate alla nomina del consulente ADR. The Government of Portugal, in accordance with paragraph 1 of article 14 of the above Agreement, has transmitted to the Secretary-General the text of the proposed amendments to Annexes A and B, as amended, to the above Agreement. It will be recalled that the text of these proposed amendments had been approved by the Working Party on the Transport of Dangerous Goods of the Economic Commission for Europe at its 100th, 101st, 102nd, 103rd and 104th sessions. “2. The Secretary-General shall transmit any proposal made under paragraph 1 of this article to all Contracting Parties and inform thereof the other countries referred to in article 6, paragraph 1. 3. Any proposed amendment to the annexes shall be deemed to be accepted unless, within three months from the date on which the Secretary-General circulates it, at least one-third of the Contracting Parties, or five of them if one-third exceeds that figure, have given the Secretary-General written notification of their objection to the proposed amendment. Consequently, unless the proposed amendments to the Annexes are deemed rejected pursuant to article 14 (3) within three months from the date of the notification, i.e., on 1 October 2018, the amendments in question will enter into force on 1 January 2019. 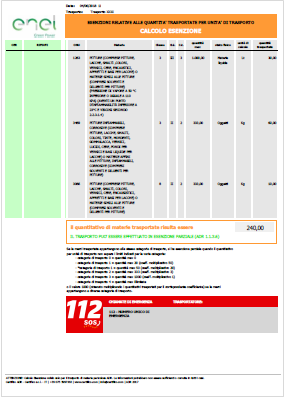 Il testo “Normativa quadro Merci Pericolose”, consolida i testi della Direttiva 2008/68/CE del Parlamento Europeo e del Consiglio del 24 settembre 2008 relativa al trasporto interno di merci pericolose (Direttiva quadro merci pericolose) e del Decreto Legislativo 27 gennaio 2010, n. 35 Attuazione della direttiva 2008/68/CE, relativa al trasporto interno di merci pericolose, con le modifiche dal 2009 al 2018. Ed. 1.0 del 15 Maggio 2018.